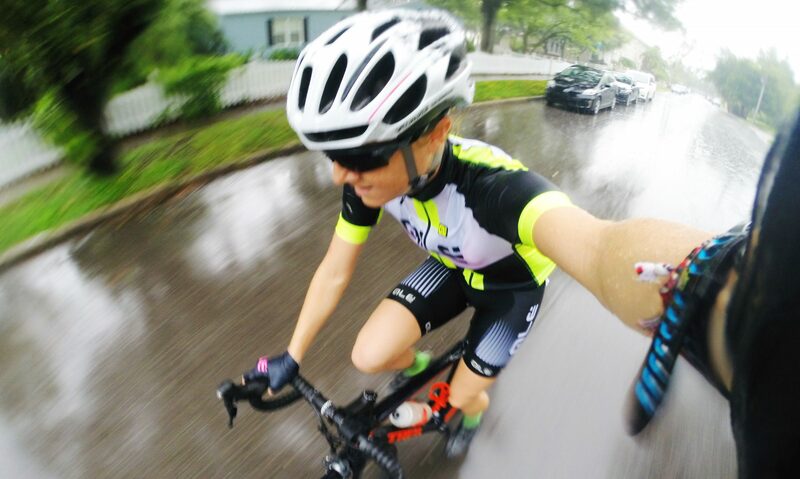 Snow Days, Run Days + EF Kit Reveal – PUSH ANIMAL. It was winter again this past weekend. What I mean is it got cold and snowed again. Despite what people think—what my fair-weathered Florida family thinks—Colorado winters are mild. They’re sunny, every day and nearly all day. Outdoor fun isn’t off-limits, but encouraged, incentivized, supported. A company I know opens late on snowy Fridays so its employees can ski for a couple hours. I love that. Snow came down hard overnight, Thursday into Friday morning, and I woke up to mountains, streets, sidewalks and our front stoop blanketed in white. What a treat I often take for granted; a blessing I sometimes wish away when I can’t ride my bike outside. Fridays are remote working days for me, so mid-morning, I pulled on my thickest layers and then my running shoes for six and a half miles along the slippery, slushy bike paths. I stopped and shuffled off to the side when plow trucks needed to pass. Thursday morning’s workout was still lingering in my hamstrings and glutes, so I took it very easy, mostly walking with a little running sprinkled in. I listened to the latest Coach’s Corner episode with Rich Roll and Chris Hauth. They were talking about goals and training and motivation. Coach things. They got into less than ideal training conditions—the conditions I was battling in the moment. “There’s so much gear out there for poor weather these days. No one has an excuse.” I smiled as more snow accumulated on my eyelashes. Athletes live on the same planet, sharing one brain. Later that night, Rapha hosted a kit reveal party for EF Education First. They’re a pro cycling team and Rapha is their new kit sponsor, a changeover from POC last year. The designs have been under wraps for awhile…until Friday when everything launched and went live across social, email, and on the website for purchase. Rapha Boulder will be the first to reveal the brand new @ef.educationfirst.procycling kit this Friday night just as the WorldTour season officially kicks off in Australia at the @tourdownunder. Join us in person to see the team go from the Blackout kit into their bold new look on Friday, January 11 at 5:30pm as we host a meet and greet with EF Team riders and staff, followed by a short Q&A. Select kit and team merchandise will be available to purchase the night of. RSVP at the link to attend. The Boulder clubhouse was lucky enough to host one of the launch parties since the owner/coach and several of the riders live and train out here. Cool little Q&A to launch the new @ef.educationfirst.procycling team kit @rapha. It was such a fun night. Kits lined the wall, people mingled and shopped, then Caley led a Q&A with JV and two riders. This is going to be a big year of racing for the EF boys, and I can’t wait to follow along—it won’t be hard to miss them in a crowd, that’s for sure. I feel so lucky to be part of this community. The snow stuck around on Saturday, too, so I went for another 6.5 mile run on the bike paths. I wish for an early summer a lot during these dark and cold days, but I would spend all my time in Colorado’s winter golden hours if I could. To more snow days. To more yeses.